WHAT IS TO BECOME OF CLARA OSWALD? DOCTOR WHO MAGAZINE PREVIEWS THE AMAZING FINAL EPISODES – IN ISSUE 493! INSIDE NUMBER 9: DWM reunites League of Gentlemen stars Mark Gatiss and Reece Shearsmith – writer and star respectively of Sleep No More – for an exclusive interview! Plus a chat with guest star Bethany Black. IMMORTAL WORDS: Poll-winning writer Jamie Mathieson discusses his varied career, including his life as a stand-up comedian, and how his latest episode, The Girl Who Died, came to be. HIGHWAY TO HELL: Writer Catherine Tregenna talks in-depth to DWM about how she came to write her recent Doctor Who episode, The Woman Who Lived. BACK TO LIFE: Jacqueline Rayner explains why The Girl Who Died reminded her of the Moxx of Balhoon, her childhood and Dodo in Relative Dimensions. TALES OF DARKNESS: The Doctor and Clara face terror in the cemetery in their latest terrifying comic strip adventure, The Highgate Horror, by Mark Wright, illustrated by David A Roach. THE DWM REVIEW: DWM reviews The Girl Who Died, The Woman Who Lived, The Zygon Invasion and The Zygon Inversion. Plus, the latest DVDs, books and audios are put under the spotlight. COMING SOON: All the latest and forthcoming Doctor Who CDs are previewed – including UNIT: Extinction and Jago & Litefoot & Strax! 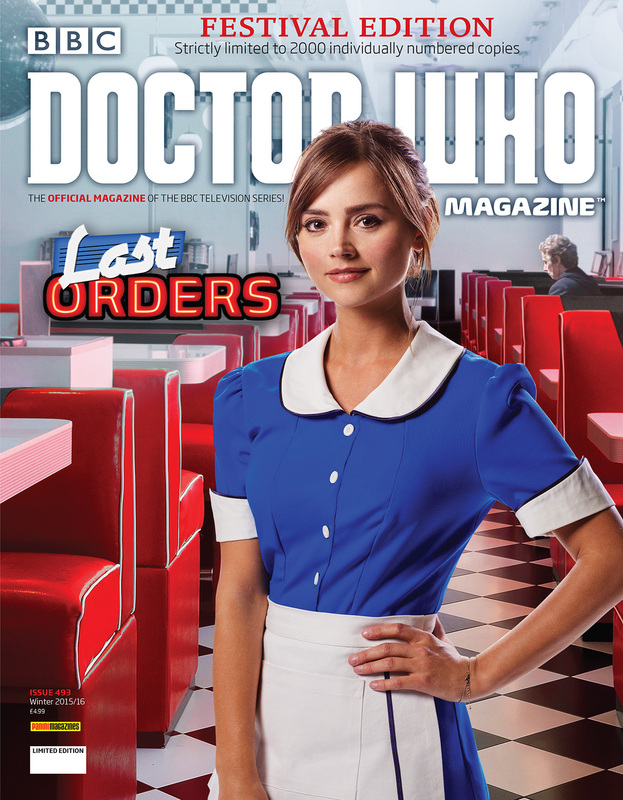 Doctor Who Magazine 493 is on sale from Thursday 12 November 2015, price £4.99. An exclusive limited edition variant cover will be on sale at the Doctor Who Festival between Friday 13 and Sunday 15 November.